UC San Diego nanoengineering professor Joseph Wang will accept the 2012 Breyer Medal in person this Sunday, April 15, in Perth, Australia. The medal is the top Australian award in the field of electrochemistry, and it will be presented at the annual Royal Australian Chemical Institute (RACI) Electrochemistry Symposium. After accepting the award, Wang will deliver a lecture on “Motion-based Biosensing”. Wang joined the newly-established NanoEngineering department of UC San Diego’s Jacobs School of Engineering in 2008, following previous appointments at New Mexico State University and Arizona State University. He earned his Ph.D. in chemistry from the Technion-Israel Institute of Technology in 1978. Wang currently sits on the Executive Council for the UCSD Division of the California Institute for Telecommunications and Information Technology (Calit2). As described by the Breyer Medal committee, Wang’s research “has been driven by elegant use of fundamental research to solve complex real-life problems.” Wang’s research interests include: nanobiotechnology, nanobioelectronics, nanomaterials-based sensors, nanomotors and nanoactuators, design of nanostructures and novel interfaces, synthesis and applications of novel nanowires, carbon-nanotubes for enhanced sensing and fuel cell applications, nanoparticle tags for amplified/multiplexed biodetection, nanoscale barcodes, nanomedicine, DNA and proteins diagnostics, remote sensors, as well as nanosensors for biomedical, environmental and security applications. His lab has recently produced an underwater sensor to detect explosives, as well as ‘nanorockets’ that could one day deliver drugs to targets in the human body. 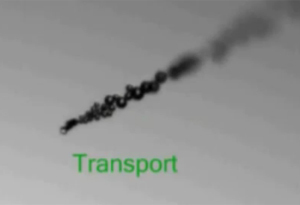 Microrocket from Wang’s lab zooms through strong acid and picks up, transports and releases a magnetic polystyrene microbead. 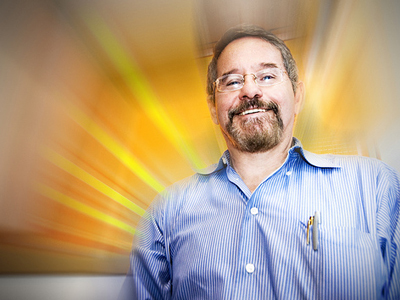 The Breyer Medal is the latest in a string of awards heaped on the UC San Diego researcher, including the American Chemical Society awards for Electrochemistry (2006) and Chemical Instrumentation (1999). Wang is considered the most-cited electrochemist in the world. Indeed, from 1997 to 2007 Wang’s papers were cited nearly 16,700 times, making him the #1 most-cited researcher in the overall field of chemistry (ranked by total citations). He was also the most-cited author in the field of engineering for the period 1991-2001. Wang is the author of 9 books and more than 850 papers (10 so far in 2012), and he is the founder and editor-in-chief of the journal Electroanalysis. He holds 10 patents and is currently teaching a course on the principles, design and applications of nanosensors. Wang has also presented more than 225 invited and plenary lectures in 40 countries. 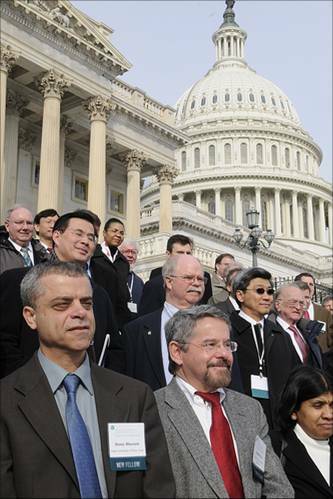 In 2010 Wang was elected a Fellow of the American Institute for Medical and Biological Engineers (AIMBE). According to Chemistry in Australia, RACI Electrochemistry Division members will be treated to one of “Professor Wang’s exceptionally entertaining lectures,” adding: “In addition to being an outstanding scientist, Professor Wang has a wonderful personality [and] has been an extraordinary help to many young scientists for many years, and is well known to Australian electrochemists.” Since 1980, 20 Ph.D. candidates and 130 research associates and visiting scholars have studied with Wang.